On 28 June 1904, just over 112 years ago, the SS Norge went down off the west coast of Scotland with 727 passengers and crew on board. Operated by Det Forenede Dampskibs-Selskab (DFDS), only 168 survived the sinking of the Danish ship. However, the majority on board weren’t Danes but Russian and Polish Jewish emigrants escaping military service, bound for America, although there were a fair number of Danes, Swedes and Norwegians leaving Europe for a fresh start in the New World. They boarded the SS Norge – a steam-powered, steel-bottomed ship with one funnel and three masts, a service speed of 11 knots and a crew of 68 under Captain Valdemar Gundel – on 22 June 1904 in Copenhagen for the 14-day transatlantic crossing. After taking on Norwegian immigrants in Oslo and Kristiansand, the ship set course across the Atlantic, north of Scotland, to New York. Many of the passengers crammed on board the SS Norge were women and children, largely from poor backgrounds, going to join their husbands and families in America. During the crossing, the ship drifted about 375 miles off course, and on June 28, she struck the island reef of Rockall – about 5 miles long and 75 feet at its highest point – located about 430 km northwest of Ireland, 460 km off the west coast of Scotland, and 700 km south of Iceland. Most of the passengers were in bed when the ship struck Rockall. And then as she dislodged, her hull became badly holed and she sank in the space of 20 minutes. The eight lifeboats on board could hold only 250 people and most of the SS Norge’s safety gear did not work properly. Two of the lifeboats sank immediately and most of the passengers drowned. The lucky few who were able to clamber onto the six remaining lifeboats were picked up six days later by a German tanker and taken to Stornoway on the Shetland Islands. Quite miraculously another lifeboat with 20 people on board reached the shores of the islands on their own accord – hundreds of miles away from Rockall, but alive, although several people died after the rescue. Refusing to abandon the sinking ship, Captain Gundel had resigned himself to going down with his vessel, but he was saved by one of the lifeboats and taken to Stornoway: it was the third time Gundel had been wrecked on the 28th day of a month. 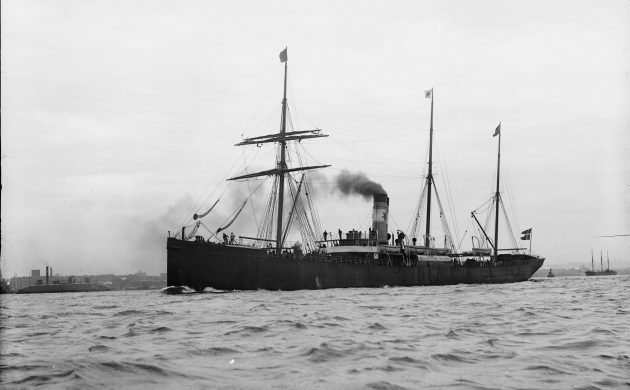 The SS Norge, built in Glasgow in 1881, sailed between Scandinavia and New York taking emigrants to the United States. She had a poor record at sea – she ran aground in Oslo Fjord in 1890, collided with a dredger at the mouth of New York harbour later that same year, and in 1898 she struck and sank a fishing boat on the Newfoundland Banks, drowning 16 local fishermen in the incident. Later, a Copenhagen Court of Inquiry into the catastrophe cleared Gundel and DFDS’s management of all charges of incompetence. The cause of the sinking has never been fully determined, although experts blame foggy conditions and a faulty compass. After the disaster, fishermen trawling the area around Rockall drew up corpses in their nets – a bad omen that kept many of them away from the waters for years. In 2003, after four years of search work, a team of divers from Stromness in the Orkney Islands discovered the wreck of the ill-fated SS Norge in 65 metres of water off Rockall. Despite being one of the worst peacetime maritime disasters in recent history, with a loss of over 600 lives, the SS Norge has been largely forgotten, most probably to its proximity to the loss of the Titanic eight years later.